Lumbini Garden located in the Rupandehi district of Lumbini Zone is considered as a highly sacred site. Lumbini, the birthplace of Lord Buddha, the messenger of peace , is one of the holiest places on the earth. Lord Buddha's mother, Shakya Queen Mayavati, gave birth to prince Gautam inside the beautiful Lumbini garden in 623 BC. She was on her way from her parent's home as Devdaha to her husband's home at Taulihawa. 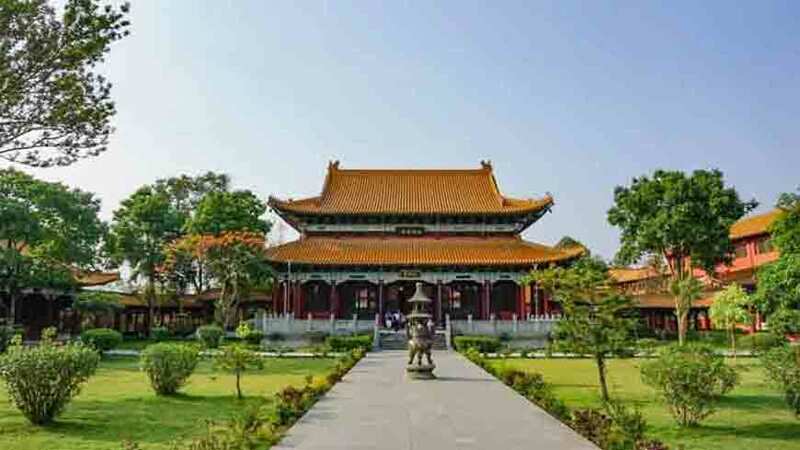 The holy Lumbini is the most sacred pilgrimage site for the millions of Buddhist throughout the world. Most of the tourist arriving in Nepal visit Lumbini charractereized by peaceful environment and the numerous temples and monasteries constructed by various countries. 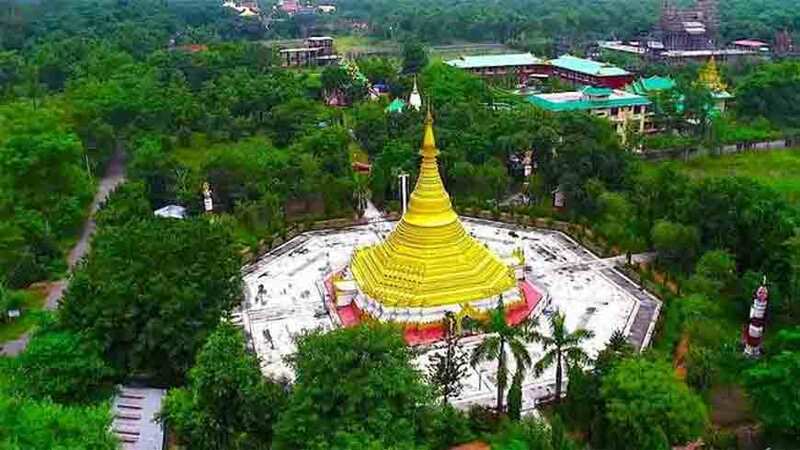 Lumbini is a suitable place to understand the historic background of Buddhism as well as the life history of Lord Buddha.The temple dedicated to Mayadevi is the main attraction of Lumbini. Located beside the temple are the holy Phshkirini Lake and the Ashol Pillar erected by emperor Ashok of Magadh, India to make the birthplace of Lord Buddha. 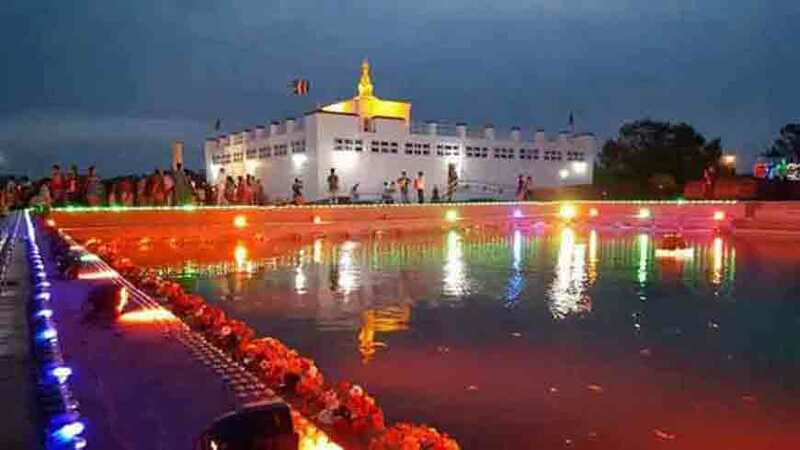 MAYADEVI TEMPLE: The Mayadevi temple is the most important temple among the ancient heritages located within the Lumbini garden. The temple houses ancient idol of Mayadevi, the Birth Maker Stone and the ruins from 3rd century BC to 7th century BC. The interior of the temple has a heavenly peaceful environment that brings to life the clairvoyance from ancient time. Tourist love to take photographs of the treasure trove of the ancient artifacts. It takes 10 - 15 minutes of foot and 5 minutes by rickshaw to reach the Mayadevi temp;le from the main entrance of Lumbini. ASHOK PILLAR: The Ashok Pillar located within the Lumbini Garden is regarded as an important historical heritage. Famous Mourya enperor Ashok of Magadh in India had ordered the p;illar to be erected in 249 BC while on a p;ilgrimage following the advice of his sp;iritual teacher Upagupta. 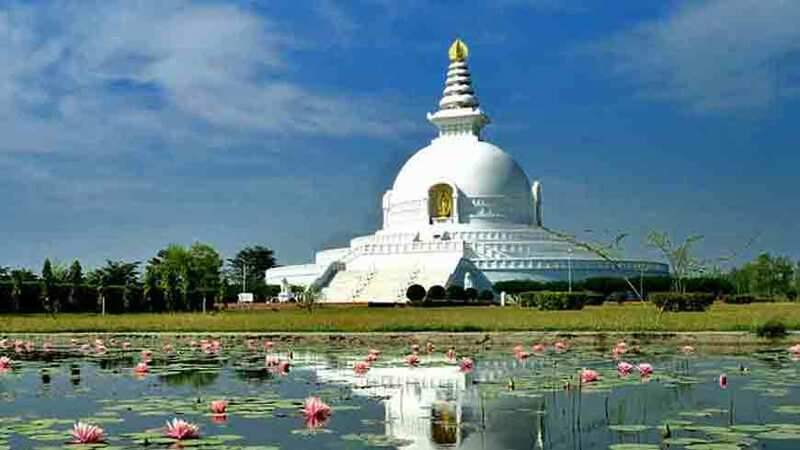 Emperor Ashok had erected the pillar along with a stone tablet that has inscription saying "Shakyamuni Buddha was born here" The pillar and the inscription stand as a testament of Lumbini being the birthplace of Lord Buddha. The Ashok Pillar has p;roven to the world that Lord Buddha was born in Nepal. The Pillar stands adjacent to the Mayadevi Temple. BIRTH MAKER STONE:The Stone Maker of Lord Buddha's birth place is preserved within the Mayadevi Temple enclosed in a glass box. The marker stone precisely marks the birth place of Lord Buddha. The marker stone was unearthed in 1996 AD during an archcological exacavation. IDOL OF MAYADEVI: The 3 feet tall idol of Mayadevi carved on a stone tablet is estimated to have been originated in the 4th century. The idol is located in the sancrum of the Mayadevi Temple. The carved figure over the stone tablet has hoever eroded and the carved figures have been obscured. The idol is also known as the Birth. it depicts the birth of Lord Buddha. The idol shows Mayadevi learning to a tree while giving birth and there are two heavenly messengers waiting to receive Buddha. Figure of infant Buddha is at the centre of the idol. WORLD PEACE FLAME:The eternal World Peace Flame is a major attraction of the Lumbini garden located at the centre of the garden. Tourist flock to observe the flame that is kept glowing uninterrupted 24 hours a day. The flame was lighted on 1st November 1986 AD by the then Prince Gyandra Shah. The flame that reprensents peace and fraternity in the world was brought from the United States of America as part of the celebration of the International Peace Year.The eternal flame can be reached at the end of a 10 minutes walk from the Mayadevi . Day 01 - KATHMANDU - LUMBINI GARDEN - DRIVE OR FLY: 280 Kms / 8 Hrs Drive / By Flight 35 minutes.